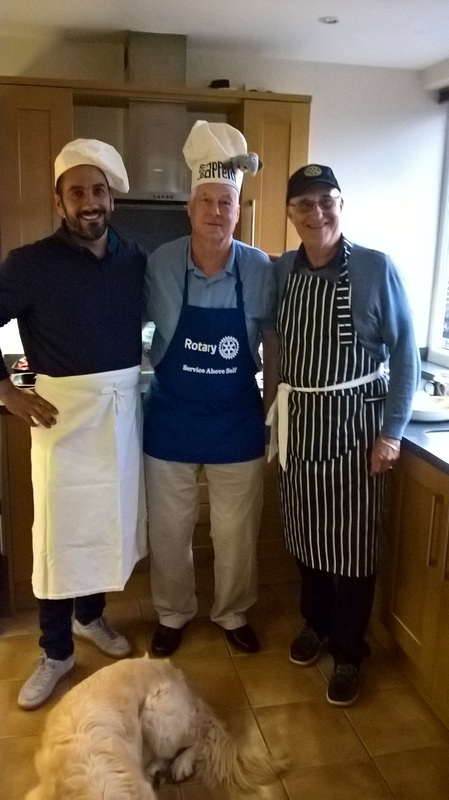 22 Members from the Rotary Clubs of Poitiers Futuroscope and Darmstadt Kranichstein joined us at home for the annual Contact Club Reunion. Monsoon conditions for the last night party!! Ice cream van in the rain! Led by President Michael Schafer, the German party arrived at Margate Station at 2.30 pm after flying from Frankfurt to London Heathrow. President Michael was accompanied by his wife, Gudrun, Uwe Schneider and his friend Ulrike, Klaus and Immie Willimczik, Martin and Meike Kunkele-Rieken, Silvia Castaner and Monserrat Portell. Led by President Jossellin Debordes, the French party arrived at Ramsgate Station at 5.30 pm after spending the day sightseeing in London having flown into Stansted from Poitiers the previous evening. 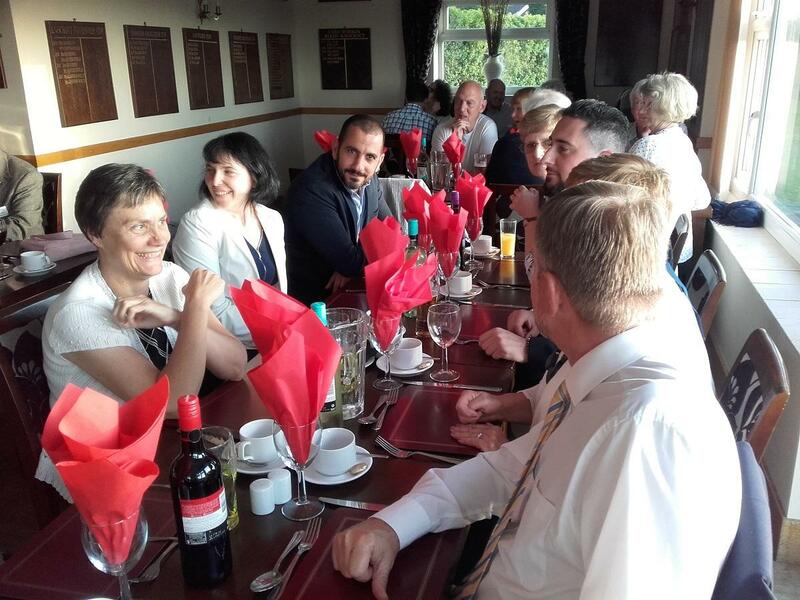 President Josellin was accompanied by his partner, Estelle, Jacques and Josette Metais, Emmanuelle and Jerome Bourdeau, Karine and Frantz Thomas, Bernard and Maria-Theresa Coupleux and Elias Rady (whose partner, Cindy, was unable to travel at the last minute). 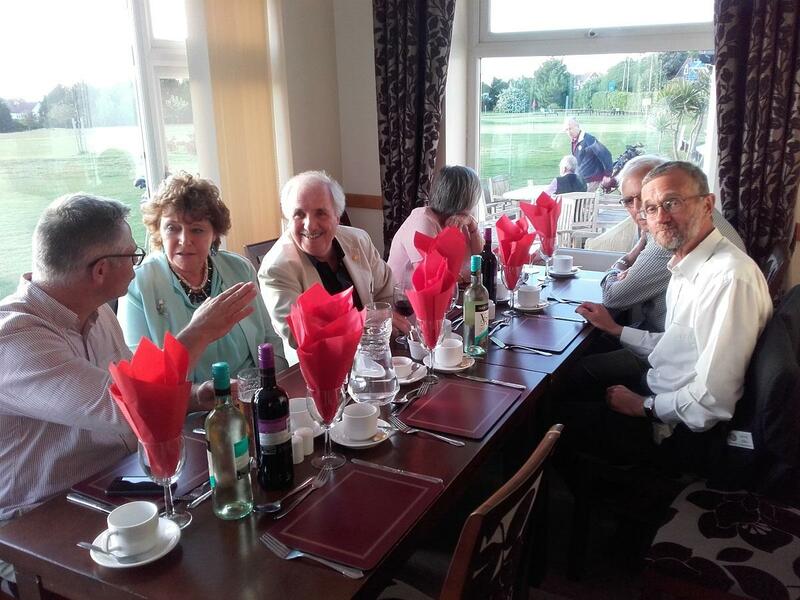 On arriving at their hosts' houses, welcome drinks were served before everybody made their way to the Westgate & Birchington Golf Club for a very English dinner of Steak & Mushroom Pie and Eton Mess. 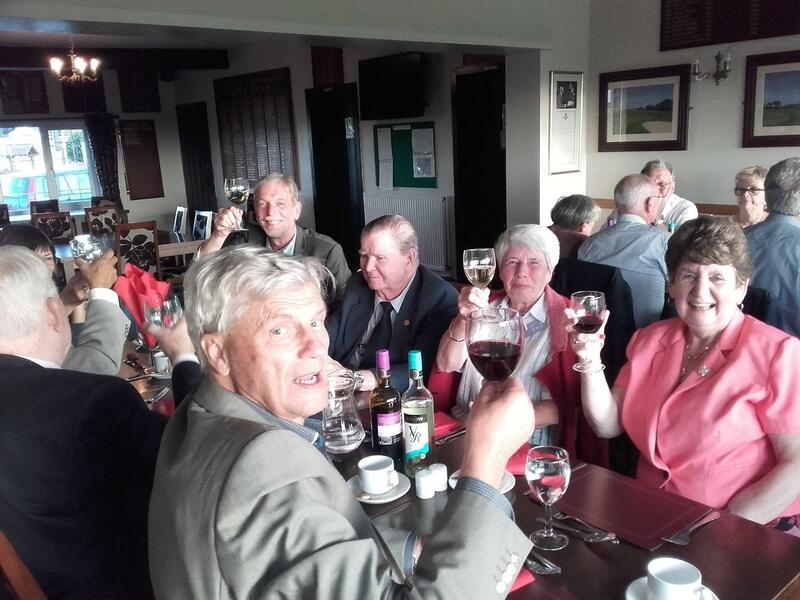 On Friday morning everyone met at Quex Park where two groups were created. The first group spent the morning exploring Quex House and Museum and enjoyed the splendid gardens. 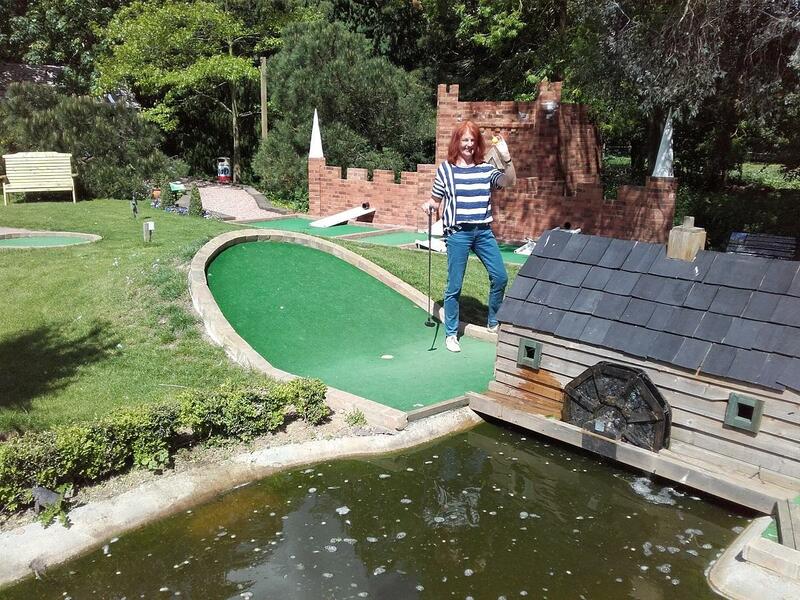 The second group played Crazy Golf - 18 holes of fiendishly difficult design - which caused almost permanent hilarity! Lunch was taken in Quex Barn - a splendid concoction of massive sandwiches and delicious chips. In the afternoon, the two groups swapped activities and then still had time to explore the Farmer's Market in Quex Barn where many souvenirs were purchased. 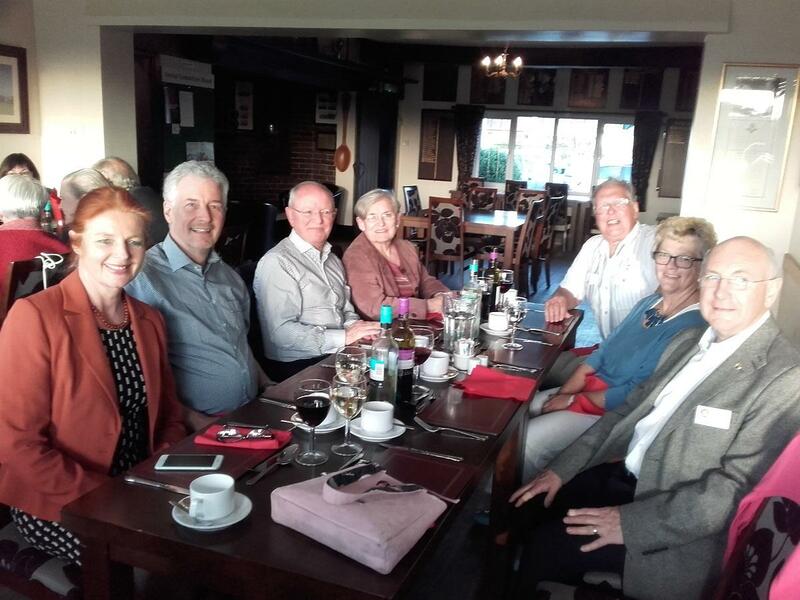 After a chance to freshen up and change at home, everyone made their way to St Augustine's for the President's Night Dinner and were joined by the Presidents of other Thanet Rotary and Inner Wheel Clubs, and a number of Honorary Members and Friends of Rotary. A traditional menu of Smoked Salmon starter, Roast Beef and Fresh Fruit Pavlova was followed by a first set of songs from "ABBA CHIQUE" who got everyone singing and dancing to familiar ABBA hits. 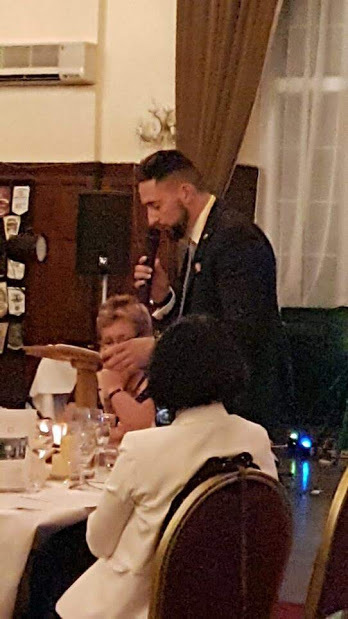 Then came the three Presidential speeches, but unfortunately, President Michael was indisposed and could not attend and so PDG Klaus Willimczik read his speech. 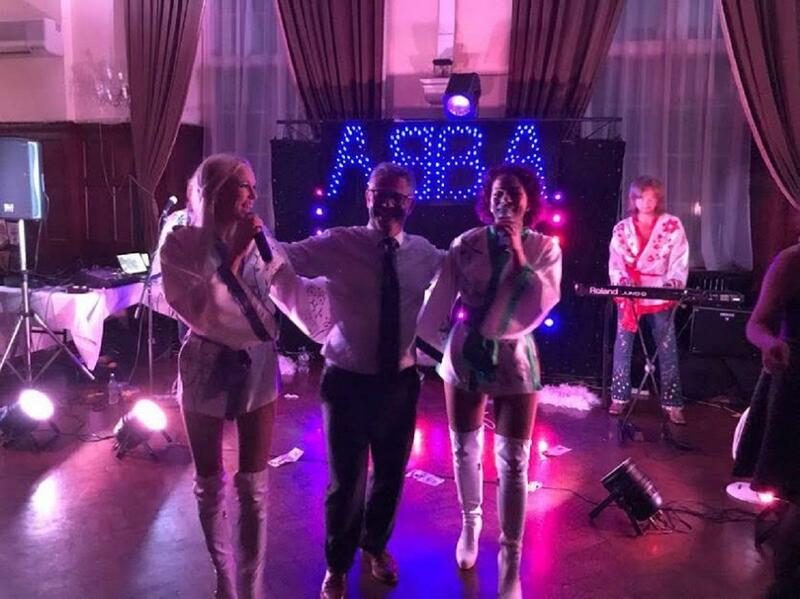 After this brief moment of formality, ABBA CHIQUE came back to the stage and continued to entertain the excited throng. 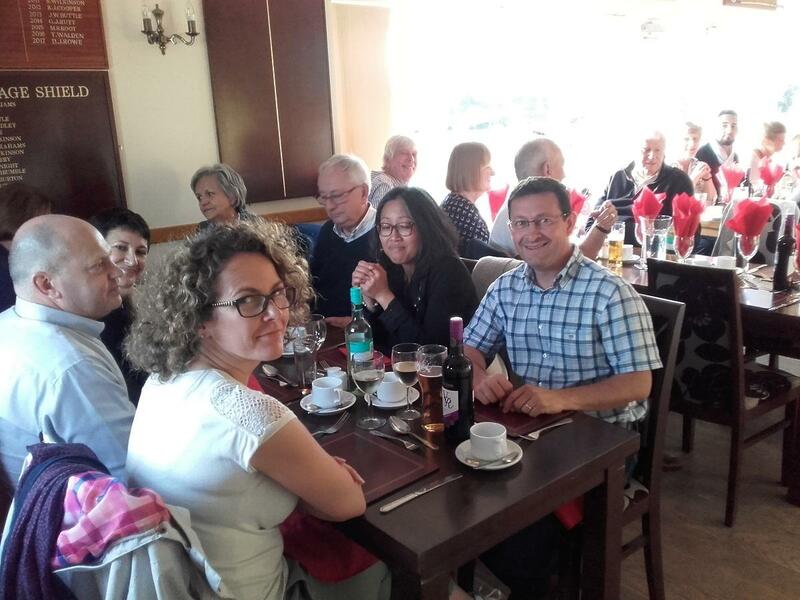 On Saturday morning everyone met in Whitstable and groups explored the boutique shops in the High Street, the oyster bars and the heritage harbour before making their way up the hill to Whitstable Castle for lunch. 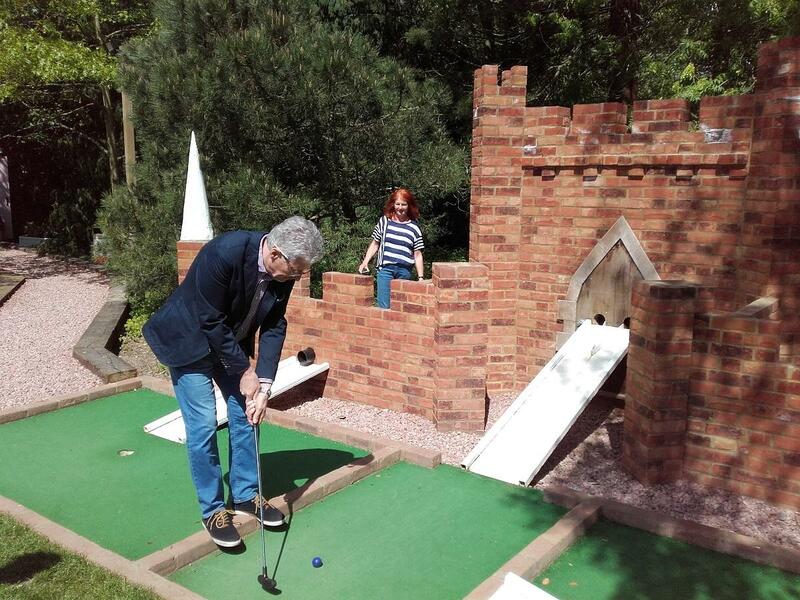 There was an opportunity to view the interior of the castle and to wander in the beautiful gardens. 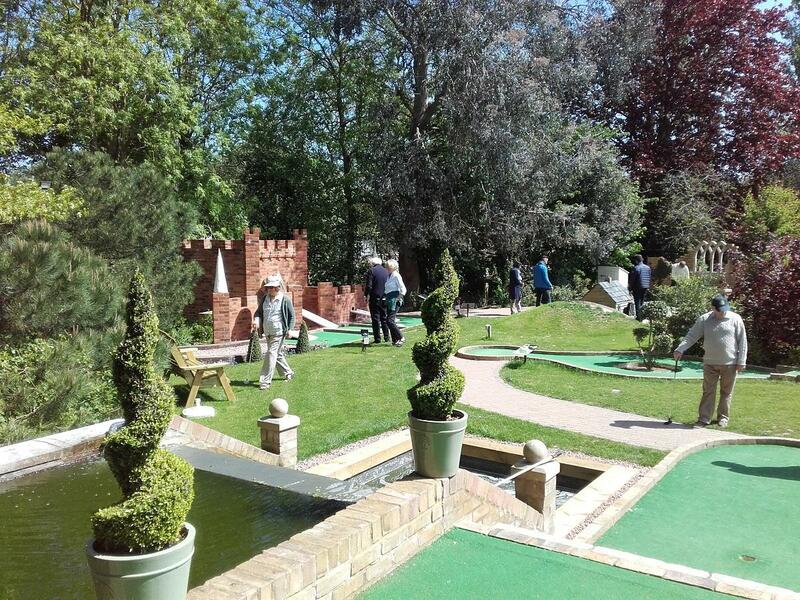 The visitors from France and Germany were interested to see a Green Bowls Match in full flow. 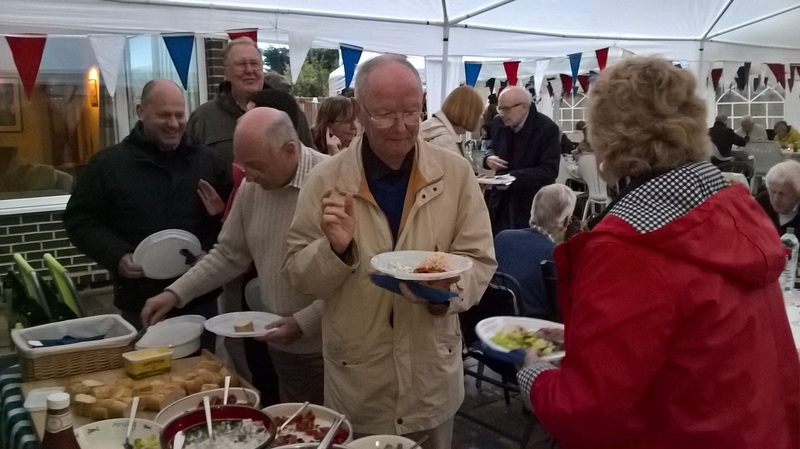 In the evening, a garden party, Chez Brightling, was planned but, unexpectedly, we entered the monsoon season and there was torrential rain and gusting wind. Undeterred, everyone remembered what Alfred Wainwright said: "There is no such thing as bad weather, only unsuitable clothing" and arrived fully waterproofed for the festivities. 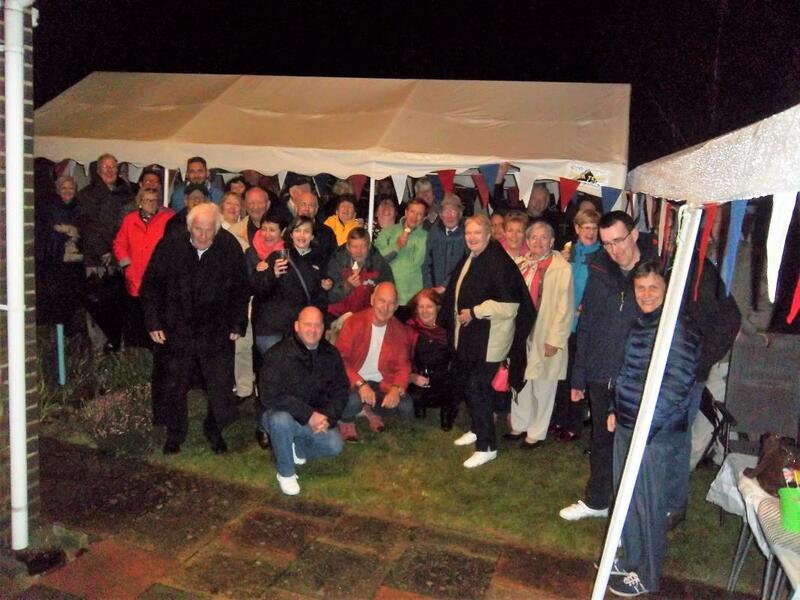 Coming together in adversity, everyone feasted on BBQued steak, lamb burgers, marinated chicken and kentish sausages all washed down with copious quanities of vino. 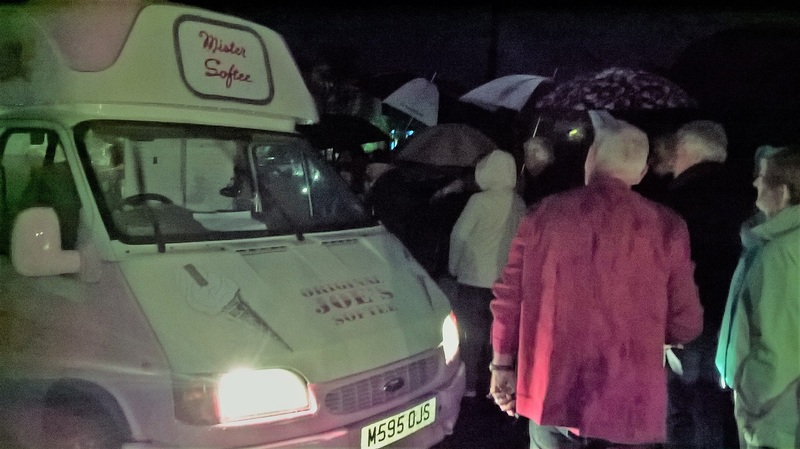 For the dessert, and much to the surprise of everyone present, a traditional ice cream van arrived at 9 pm and, despite the heavy rain, all the guests trooped out to the road under umbrellas to order their 99's, oysters and cornets. 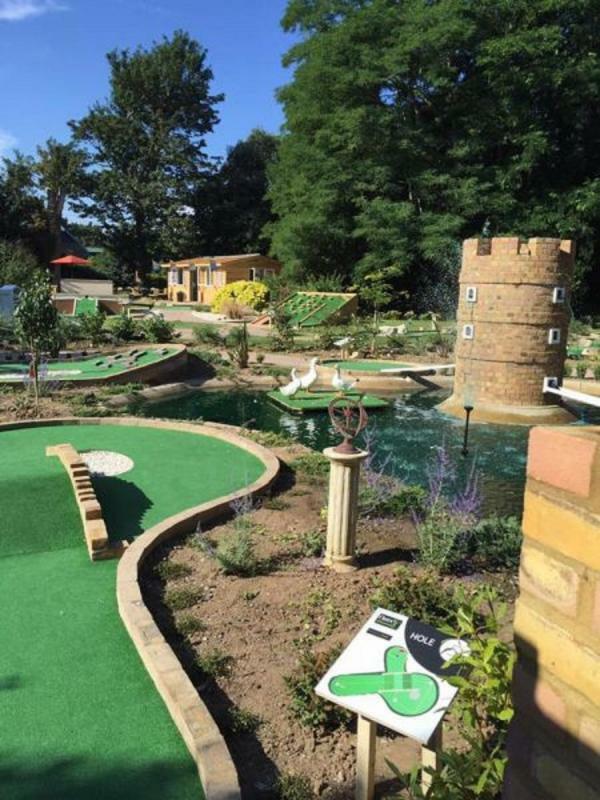 It could only be IN ENGLAND! The French party had to catch the 8.05 am train from Ramsgate in order to get back to Stansted in time for their flight to Poitiers so everyone was up at the crack of dawn! The German party had a little more time to wake up as their train was the 10.05 am from Ramsgate. Why not Margate?? It was a Sunday, so there were the dreaded "Engineering Works" and "Replacement Bus Service" Good old Southeastern Railway!